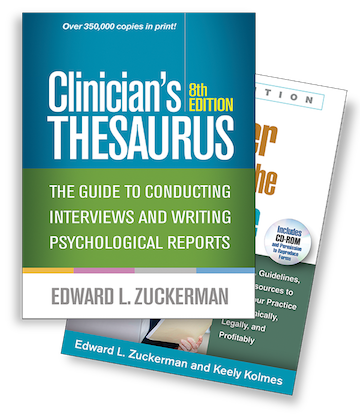 Edward L. Zuckerman, PhD, consults and creates effective practice tools for clinicians. He found his life’s passion while working as a psychiatric aide at New York’s Bellevue Hospital in the 1960s. Dr. Zuckerman has worked with adults in a variety of clinical contexts, acted as liaison with state hospitals, taught undergraduates, and maintained an independent practice in general clinical psychology for many years. He lives in rural western Pennsylvania. Order both items — a $134.00 value for $99.95!